I’ve been reading the 2015 report on modular building case studies from The Modular Building Institute and The University of Utah’s Integrated Technology in Architecture Center (ITAC). The report gives a glimpse into the details of 17 different modular projects, comparing their data with data from comparable conventional projects. Locations range from the United States and Canada to Europe and Australia. We see what has worked, what hasn’t, and what lessons were learned. Right now, only 3-5% of construction is estimated to be modular. Because these projects were so successful, and because modular building is on the rise, this analysis is important for builders who are considering going modular as well as those who already have. A revolution in building construction has begun and the more information we have on it, the better. Key findings include an average 16% cost savings and 45% time savings. In fact, the authors demonstrate that modular building saved at least 25% of the scheduled time for each project. In these projects, quality and worker safety also improve. You might want to note that in some cases modular construction is shown to be more expensive than conventional methods. We should be on the lookout for ways to streamline our processes and reduce those costs. I like that the report gives a good cross-section of projects in the last few years. It includes a range of building sizes, building types (housing, retail, education, hotel, office, hospital, and mixed use), as well as projects in suburban, urban, and rural areas. The largest was The Victoria Hall Wolverhampton in the UK at 25 stories, 172,000 square feet, and 383 modules. The smallest was a Starbucks in Washington State at one story, 1,762 square feet, and only three modules. What were the biggest lessons learned? Collaborate early! Developers, contractors, and modular manufacturers who work together throughout the project (especially at the beginning) create better designs and avoid on-site errors. Plan more time for design and research. 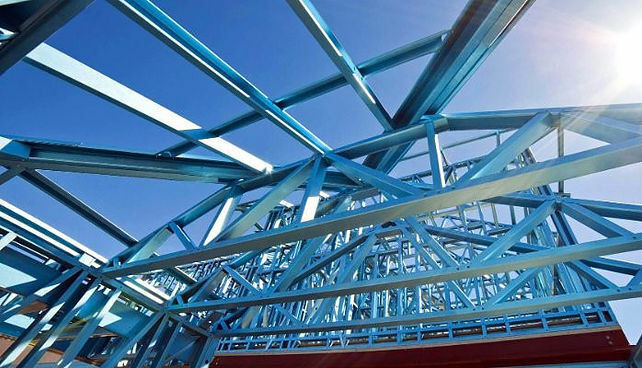 The fast-paced schedule of modular building does not allow for design errors. Pay attention to the small stuff. If you overlook small details, you create big schedule delays. Schedule and transportation overruns are major challenges. Collaboration is key to avoiding the former; proximity of factory to the building site is key to avoiding the latter. When examining the software used on these projects, the authors note, “Surprisingly, few are using BIM [Building Information Modeling] software.” This is indeed surprising because you can save even more time, money, and headaches using BIM software like Vertex BD. Not every modular construction is cost-effective but this is a way to improve your numbers. For example, if your project consists of 100 wall panels, you can save up to 100 hours of drafting time per project by using Vertex BD. It also allows more flexibility in the design and can provide greater opportunities for collaboration.